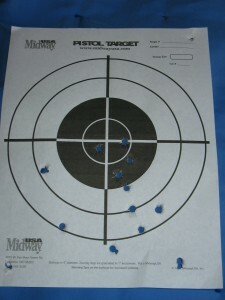 I went shooting the other day with some ammo from LuckyGunner.com. If you carry a firearm for self defense as I do, you’ll need ammunition for it. Lucky Gunner has ammo available for purchase online which makes finding what you want a lot easier that hitting every gun store around. They have ammunition available in bulk or by the box for tons of different calibers, it’s in stock if the website says it is, and they ship fast, so you’ll get what you need pretty darn quick. If you carry a firearm for self defense (and even if you don’t), it’s also a good idea to get out and practice with it regularly. To say I haven’t been out shooting lately is an understatement. Feeding baby brother has definitely taken priority over my extra curricular activities since his arrival. On the day I was planning to go shoot, he luckily didn’t nap well in the morning. I kept him awake until I was ready to go after lunch, then strapped him in the car seat and drove out to the range which is actually just a little hill outside of town. Far enough out of town that he fell asleep. Perfect. I let him sleep in the car (it was cool enough to leave the windows up), while I moved far enough away that the gun noise wouldn’t be a problem for him and set up shooting. I peeked in on him after every magazine. Now, you can’t use this babysitting method when you’re at a public range, but if you’re the only one in the boonies it works pretty well. This is also not the most productive method of going shooting with a baby since your real priority is the baby so he decides when you’re done. The real best way to go shooting with a baby would be to hire a sitter and leave the baby home! 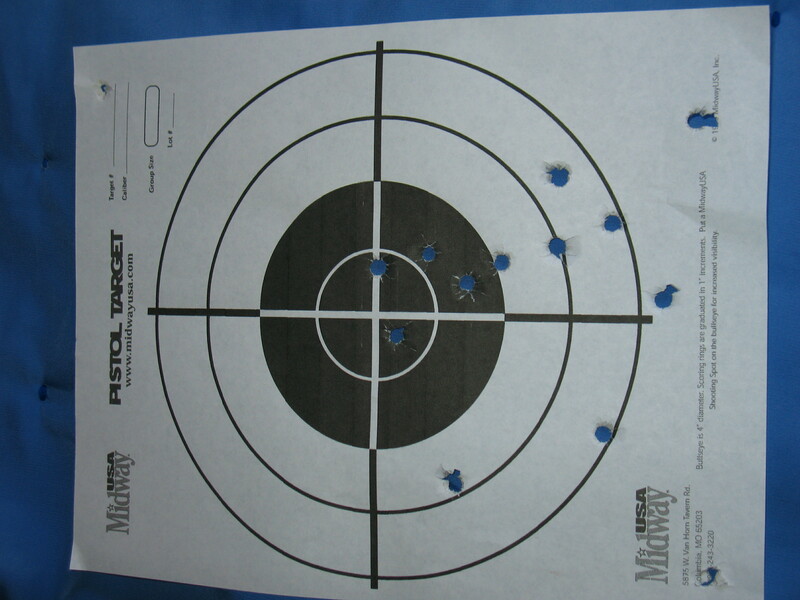 Anyway, I got a few rounds down range. These were Remington JHP bullets. 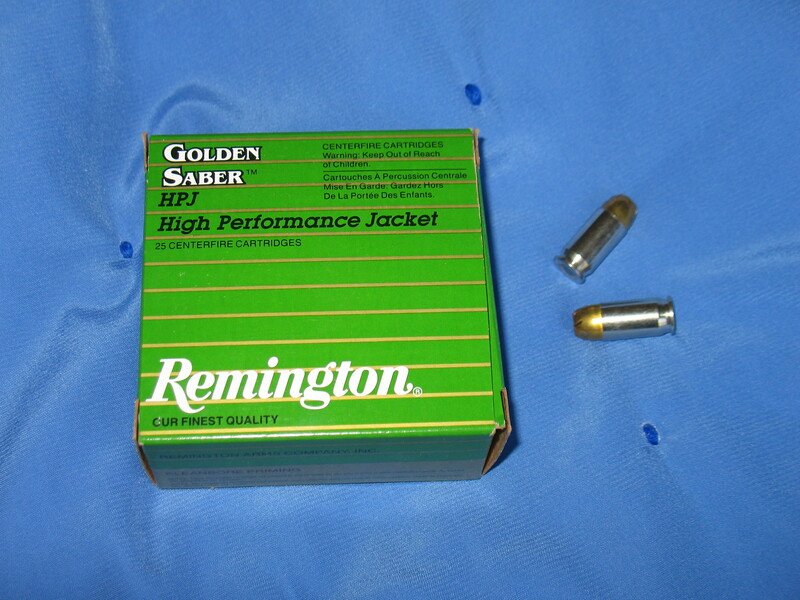 If you’re new to ammunition, check out my post explaining all about ammo here: Basic Firearms: Ammunition. These were almost too pretty to shoot. But I shot them anyway. And it was fun. And you know what it means when your shots are all low and kind of wonky? It means you need to get out and practice more, that’s what. I remember the days when the baby decided how long I slept, if I ate, and how long I could play tennis…lol. Those really were good days, despite fatigue. The other day I got withing 2 inches of a tin can at twenty paces. Does that count? I wish I had a gun. The other day I found a hollowpoint something in my gutter out front. I always find ammo in front of my house and I am not sure why. I still wish I had a gun of some kind.